About a year and a half ago, I came across a post on And North featuring a tour of a home designed by the endlessly inspiring Jersey Ice Cream Co. While the entire house stuns, I remember being completely floored by the two wallpapers in the rooms pictured above. I simply had to have more. To save myself the embarrassment, I won't tell you how long I spent drooling over the Trustworth Studios site after that, but to this day Trusthworth remains, in my mind, one of the best wallpaper resources I've ever come across. These reproduction papers were originally designed by the inimitable C.F.A. 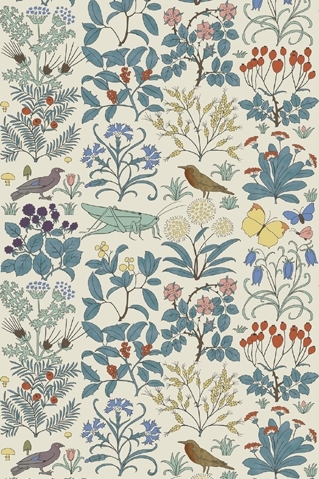 Voysey and other leading British designers in the late 19th and early 20th centuries, yet still feel remarkably fresh. What I find most intriguing about the patterns and colorways is their delicate balance between whimsy and elegance, fantasy and the everyday, folk and fine art. Whatever it is, Trustworth Studios has it... and I, for one, want it all. 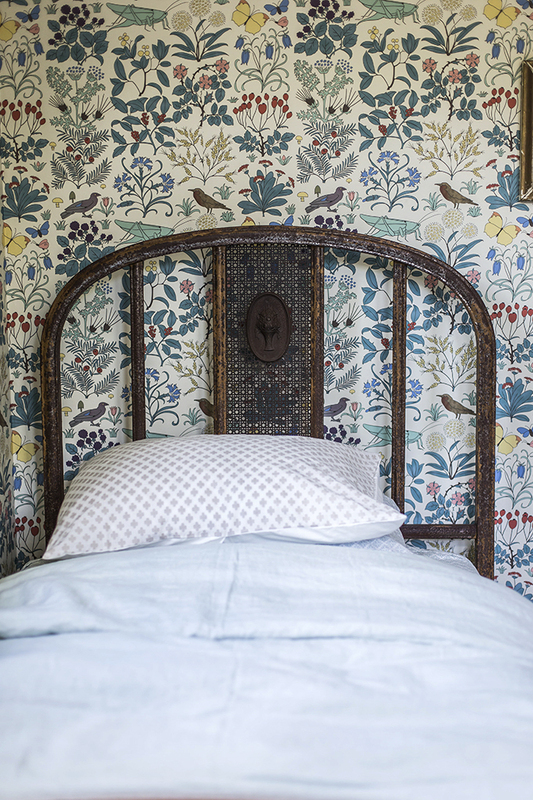 For more about Trustworth Studios and more of their gorgeous wallpapers, check out their website. All images via Trustworth Studios.